Renovations expert Jonathan Ellis is part of Ageless Wood Restorations - three generations of knowledge and trade. Focused and hard-working, Jon finds value in recreating the elegance of the past with his own hands, and it will take something - or someone - extraordinary to break into his enclosed world. When Greg drops into Jon's lap he finds it impossible to refuse him. Even when the bad guy appears and Jon isn't sure whom he can trust, he knows he has to stand by Greg, if only to save the idiot from himself. Greg woke up a good hour before his alarm went off and rolled out of bed to shower and shave, and dress in his usual jeans and T-shirt ready for work. He drank instant coffee and ate the small wrapped cookies that came with the room, then took out all his notes and spread them out in chronological order on the floor, holding down recalcitrant corners with anything he could find. A mug held down one, a notebook another, a pillow near his knee, and a shoe furthest from him. Not exactly the best way to have this laid out, but he couldn’t pin everything up on the wall. Andrey would laugh at him, seeing him on his hands and knees like this. Familiar grief welled inside him. A year and he could still conjure up Andrey’s face. He held the pendant that hung around his neck in a tight grip. Greg sat back on his haunches to get a better perspective on the papers and to get a grip on the heartache that wouldn’t leave him. Instead he focused on why he was doing this: a mental promise to Andrey to find the Khlebnikov Diamonds. Somehow, in his screwed-up brain, he had rationalized the guilt he felt over Andrey’s death with finding the diamonds. Like it would restore some sort of cosmic balance in his life. His own island in the Aegean, beaches, warm water, peace. Find the diamonds. When we first meet Greg, he is in the middle of a job with his best friend that ends badly. Greg is a little Indiana Jones inspired, if Indy had been a crook collecting artefacts for money. So when he turned up at Laurels looking for a job helping to restore the restaurant after the fire, I couldn't help but wonder what he was up to. It didn't take long to find out. I loved the tales of history that are weaved through the love story. Ice is a cosy m/m romance that can easily be read in a few hours. I'm really enjoying this series and I look forward to reading the next story. As much as I enjoyed Heat, I think I enjoyed Ice even more. There was a greater level of suspense in this installment of the Salisbury Stories due to Greg’s career, and I think that’s what gave it the edge over book one for me. Not to mention, the chemistry between Greg and Jon was hot enough that I’m surprised Laurels didn’t suffer more fire damage. Yowser! 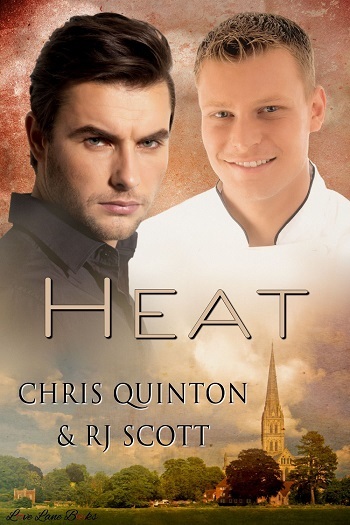 While it’s not absolutely necessary to read Heat first, I strongly recommend doing so as this book is set in the same restaurant, Laurels, that book one was and the main characters from it – Lewis and Devon – appear quite a bit in Ice. This installment begins with a bang, quite literally as we meet Greg while he’s in the midst of a shoot-out. Although Greg makes it out alive, he does not do so unscathed as the man he calls his brother, Andrey, dies during the mission. Despite claims that he’s through, we jump a year ahead to the present where we encounter Jon, the man whose been hired to restore the fire-damaged Laurels and who’s in desperate need of a skilled wood worker. Enter Greg. I am not ashamed to admit that I was quite surprised to see that Greg actually possessed the level of skill that Jon needed so badly. Unfortunately for Jon, Greg only plans to be on the job long enough to search for some stolen diamonds that have been missing for decades – he’s figuring it’ll take three or four days – and then he’s off to a quiet place to retire in solitude. What Greg didn’t count on was Jon, the first man who’s ever made him want more, want something, want to give up his treasure hunting career and settle down. Of course, the attraction isn’t any easier on Jon’s side of the equation either because his professional ethics demand that he not become involved with an employee. But what’s a man to do with the object of his fantasies hauls him down and kisses him? Several times! Yet even as the chemistry between them threatens to steamroll them, neither man is able to give his all, and while Greg can understand why Jon is holding back, Jon cannot figure out what Greg’s secrets are. As Greg’s job comes to a close, an unexpected threat is revealed and he’s faced with either losing Jon now or losing him forever – neither of which he wants to do as he’s finally found a place to call home. 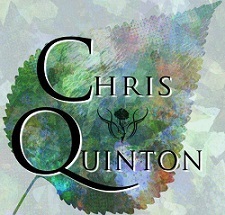 Quinn and Scott did a great job with Ice. The book contains a nice balance of steam, romance, heartbreak, mystery, and action as Greg undertakes his final assignment. I found the balance between Greg’s reckless adventurer persona and his dedicated craftsman side to work well and be believable. He complemented Jon perfectly. As for Jon, the man was the consummate worrier and caregiver, and his loyalty to those close to him was exactly what Greg needed. Watching them fight their attraction for one another for different but understandable reasons, made their succumbing to it that much better. I really liked Jon’s aunt and uncle, and was quite happy to be able to spend so much time with Lewis, Devon, and Rachel again. The romantic suspense element absolutely increased my enjoyment of this installment. Ice was a wonderful addition to the Salisbury Stories series and I hope that the authors have the next book already in the works. 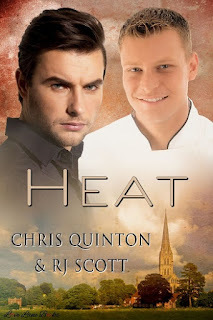 For reviews & more info, check out our Heat post. I've has been writing since age six, when I was made to stay in at lunchtime for an infraction involving cookies and the mixing bowl. You can't tell a six year old not to lick the bowl! 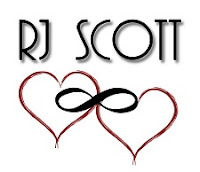 I'm also known for the Texas series charting the lives of Riley and Jack, and the Sanctuary series following the work of the Sanctuary Foundation and the people it protects. I'm always so thrilled to hear from readers, bloggers and other writers. Chris started creating stories not long after she mastered joined-up writing, somewhat to the bemusement of her parents and her English teachers. But she received plenty of encouragement. Her dad gave her an already old Everest typewriter when she was ten, and it was probably the best gift she'd ever received – until the inventions of the home-computer and the worldwide web. 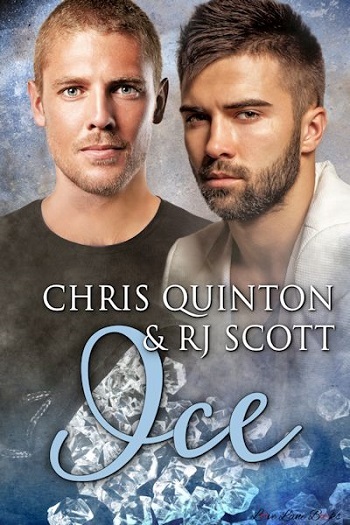 Reviewers on the Wicked Reads Review Team were provided a free copy of Ice (Salisbury Stories #2) by R.J. Scott & Chris Quinton to read and review for this tour.